Back to School sale on student chairs with prices starting at just $59.99! Canada’s lowest price! Office chairs, perfect for students who need maximal comfort in dorm rooms, apartments, and sublets! Student chairs are important for going back to school, the seat that will support you through each semester’s assignments, research, and projects, is crucial to your posture and your schoolwork. And 123Ink.ca has the best deals available. With free shipping on all orders $49 and up within the country, 123 Ink Canada has got your back, economically and ergonomically. Our selection of office mesh chairs features high back, mid back, head and lumbar support, in a variety of styles and colours, offering multiple special features. 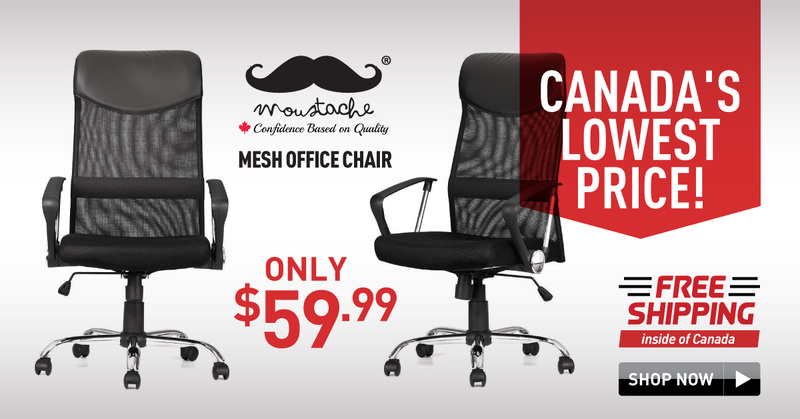 For just $59.99, you can get the comfortable Moustache Ergonomic Adjustable High Back Office Mesh Chair, in black, with chrome armrests and base, which promises a professional look for the student office. If you’re going to spend all night in your seat cramming for the final, this is the chair you’ll want to be seated in. 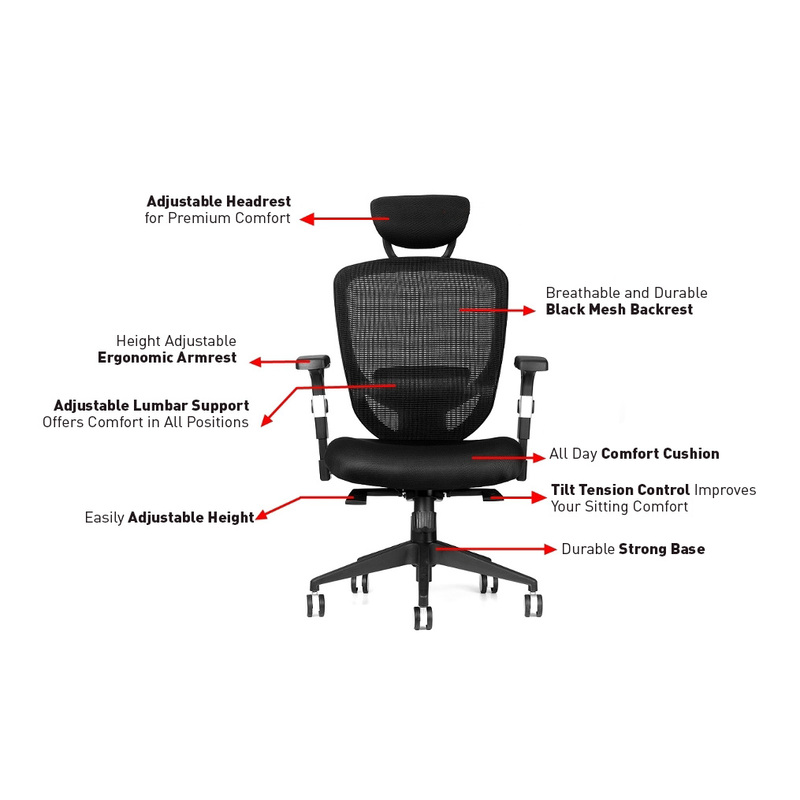 Featuring adjustable tension, chrome gas lift, and height adjustable arms, this Office Mesh Chair gives off a sleek look and comes equipped with breathable, customizable back support. Student bedrooms often serve two critical roles in campus life, sleep and work, with little room to spare for excessive furniture. Minimize the pain and the clutter and go with this reliable, robust chair. Easy to assemble, it swivels on its five-pronged, dual-wheeled nylon and chrome base and remains sturdy throughout usage, with a weight capacity of up to 250 lbs. It comes with an upright lock for the backrest, a contoured seat cushion, and aligns to the natural curvature of the spine, delivering the best in ergonomic comfort. With a one-year warranty and fast shipping available for just $5.95, this office mesh chair makes the perfect back to school gift! You won’t find a better deal anywhere else. 123 Ink Canada has many kinds of chairs perfect for back to school: tall chairs, leather chairs, chairs with lumbar support, cushion, foot support. All chairs in stock are eligible for free shipping within Canada and arrive quickly from coast to coast, with warehouses in Vancouver and Montreal. Check out our online store and browse through office chairs for students, ergonomic chairs, gaming chairs, and bar stools. Whether you’re furnishing a shared kitchen, workspace, rec room or personal workstation, we’ve got the perfect chair for you. Don’t hesitate to bring your back to school, see 123Ink.ca for details. 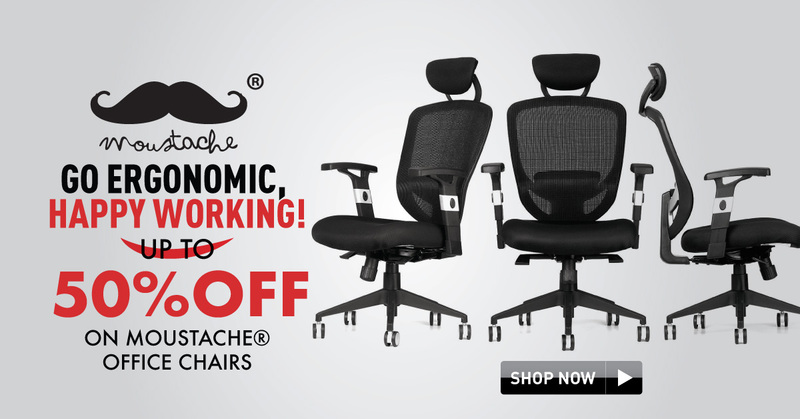 Get Moustache Office Chairs on an Exclusive Back-to-School Deal!